J/News Articles: J/120 Nationals Announcement! (Cleveland, OH)- Edgewater Yacht Club is pleased to announce the 2019 J/120 Nationals will be held in conjunction with the popular Cleveland Race Week. The Great Lakes J/120 Fleet looks forward to sailing on Lake Erie from June 14th to 16th, 2019. 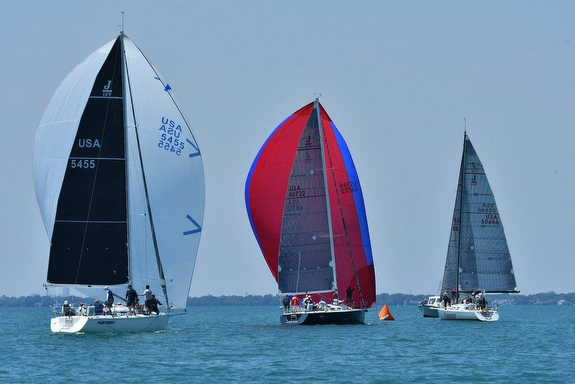 This is a great opportunity for J/120 owners on eastern Lake Erie, Lake Ontario and Lake St. Clair to meet in the middle and enjoy the late Spring sailing that is part of the legendary Cleveland Race Week. For those needing a tune-up and a great kick-off to the season, head to Bayview Yacht Club for the Bayview One-Design Weekend, and then travel to Toledo Yacht Club for the ever-popular Mills Race and then head to Cleveland for the J/120 Nationals. As host of the J/120 Nationals, Edgewater YC will provide convenient dockage for all J/120 teams and great racing on the open waters of Lake Erie. The Notice of Race is posted here. For more J/120 Nationals information and Cleveland Race Week sailing information Add to Flipboard Magazine.